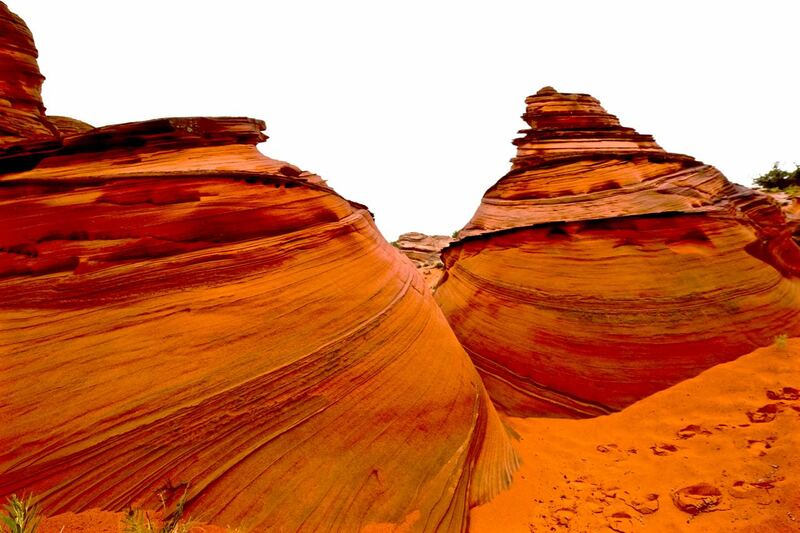 Four months ago, we tried our luck at the lottery for a permit to visit The Wave in Coyote Buttes North. Ten permits are issued via lottery and another ten in person the day before, so only twenty people are allowed into the area per day. Unfortunately, we weren’t able to get the permit. Instead we went online also four months ago and got the permit for Coyote Buttes South which also only allows twenty people in per day. 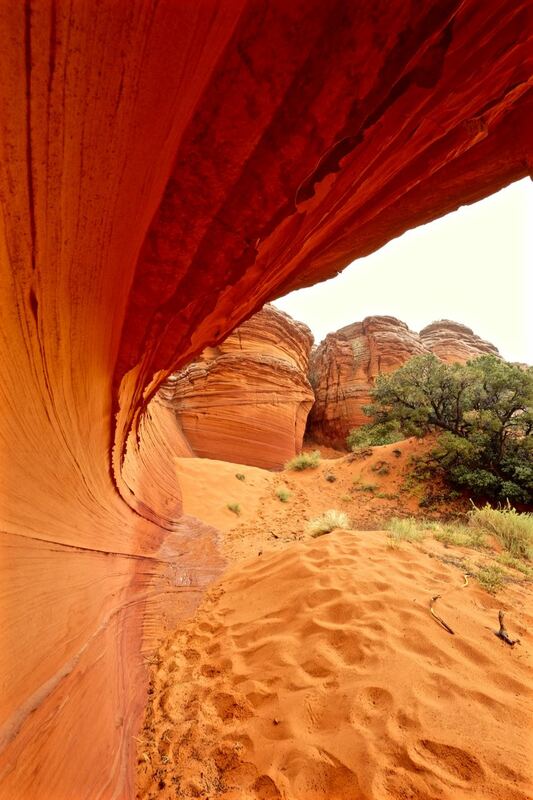 Coyote Buttes is an area of aeolian Jurassic Navajo Sandstone. 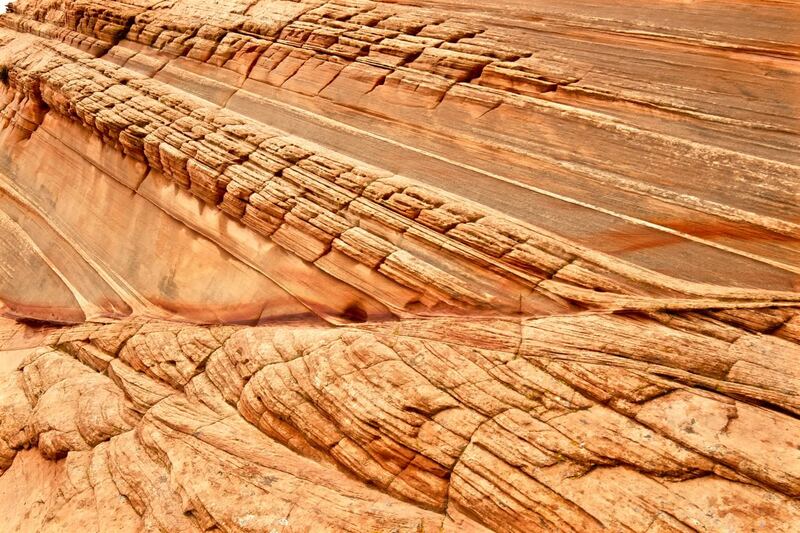 The different coloration of the sandstones is the result of different minerals within the layers. 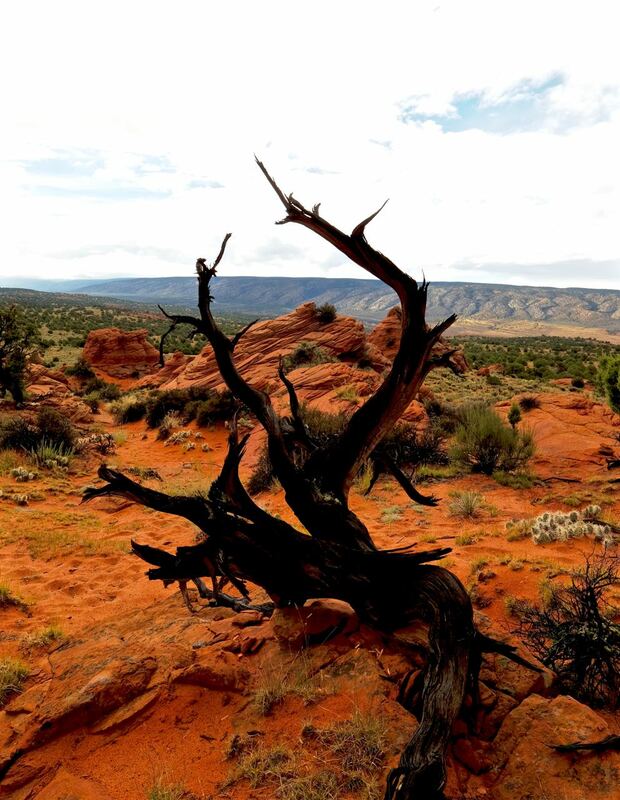 The sandy terrain makes hiking a bit strenuous. 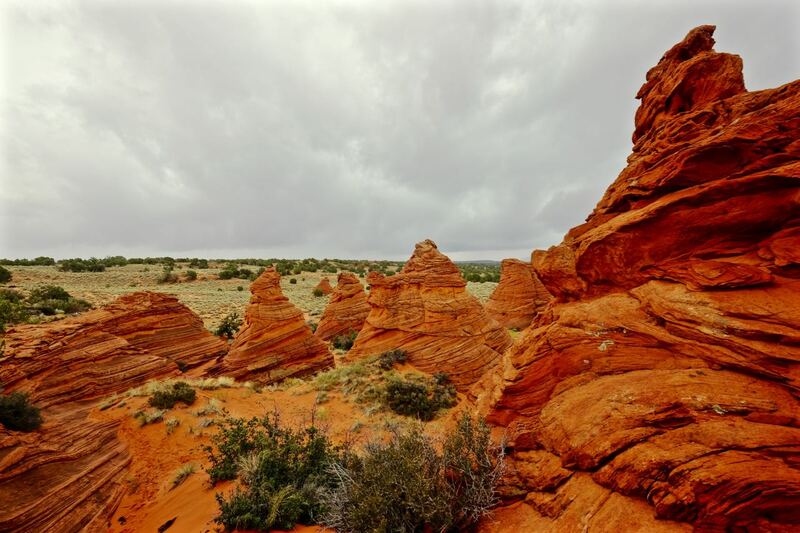 There are 2 trailheads for Coyote Buttes South – Pawhole and Cottonwood. It was raining quite a bit when we started the day so we opted to go to Pawhole which is closer to the main road but we still needed a 4WD vehicle with high clearance. 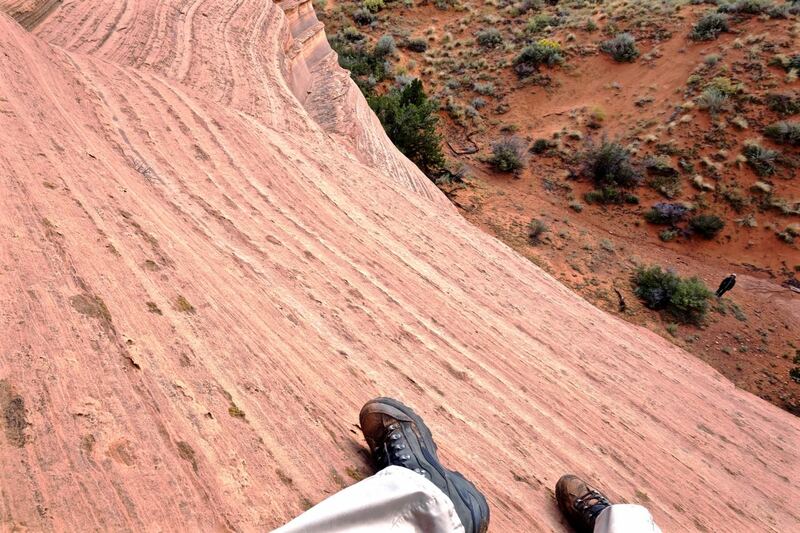 Fortunately, we had the perfect guide with us, Kyle from Vermillion Cliffs/Grand Circle Tours. He showed us an area similar to the Wave (since we couldn’t get the permit for the Wave) and I got to climb up the sandstone wall for a more panoramic view of the area. The hike out there was mostly in sand which was made easier by the rain. We were extremely lucky that the rain stopped and the sun came out when we arrived at the teepees area. The landscape was truly beautiful and worth the trek through the sand.